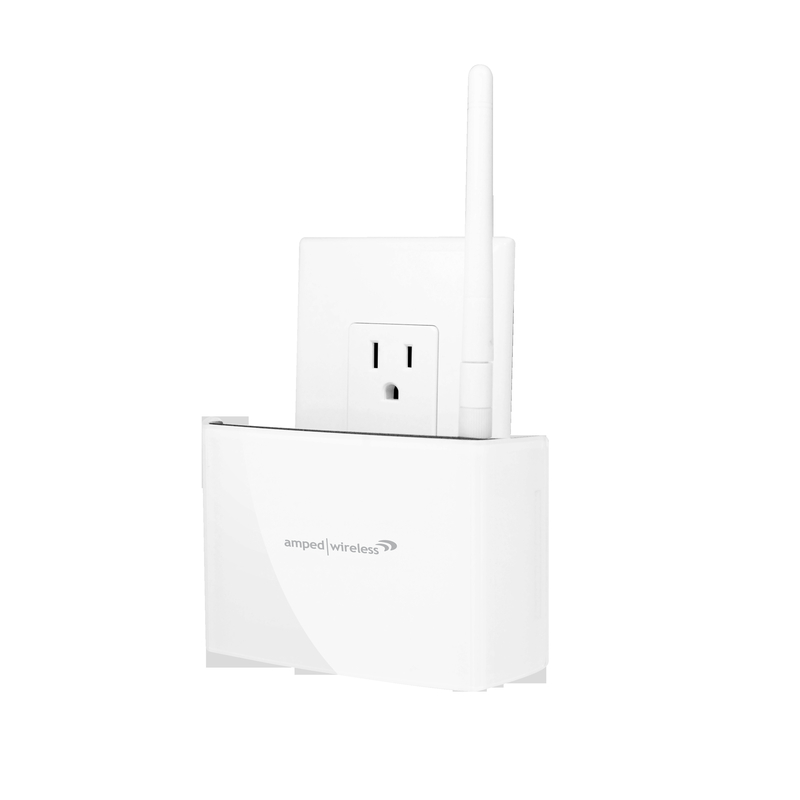 With a growing number of wireless devices in more rooms at my home, I had to plunk down $69 for a wireless range extender last year. I bought the REC10 from Amped Wireless and it has worked wonders, giving us greater network range and speeds on both floors in the house. Now, Amped Wireless has a newer model (of course!) that promises great performance and more features. Dubbed the REC15A, this $99.99 dual-band extender includes four amplifiers to boost signals up to 500 milliwatts or roughly 10x the strength of standard Wi-Fi devices. The effective range of the extender is 5,000 square feet in a best case scenario; more than adequate for most homes. Even better, the REC15A supports 802.11 ac Wi-Fi so it’s fully compatible with the latest wireless routers. We bought an 802.11ac router in late 2012 and that too provided a significant speed boost on certain devices. The new REC15A supports both the 2.4 and 5 GHz frequencies and includes a wired Ethernet jack under its base so you can connect one device with a cable and effectively add wireless network support. By comparison, my REC10 doesn’t support 802.11ac nor is it dual-band: It only works on the relatively congested (at least in my house) 2.4 GHz channel. I have a review unit of the new REC15A on the way and will compare performance with the REC10 as soon as I receive it. Even if the performance is only comparable between the two, I’ll likely place an order for the new range extender to gain both the 5 GHz and 802.11ac support; that should give me better throughput from my 802.11ac router and also let me move certain network traffic to the 5 GHz band.